There’s no other word for it – it’s shameful for me not to know good, cheap eats around my workplace in Causeway Bay. Partly because I hardly lunch out – I find the office crowd maddening – but sometimes a gem of a find come onto my radar, as has New Bangkok which I had the pleasure to try out today! Try as I might to get in quiet and early, the Thai restaurant was already teeming with customers. At first I wasn’t too pleased when the waitress asked me to stand right next to a table which was about to finish. I mean, I won’t do to others what I don’t want others to do to me. So I said I will wait outside… where I studied the menu and realised why the place was so popular. For some $40 (often less), you get a set lunch here. That’s right, you get a main dish with a drink of your choice. The usual suspects were available on the four-paged menu, from fried rice to tom yung noodle to meat skewers. 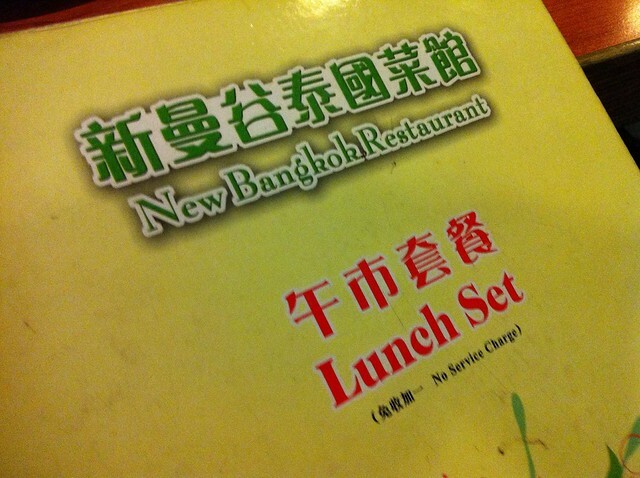 I figured I could have lunch here for a month and would yet to be able to finish the entire menu. The portion wasn’t too shabby either. 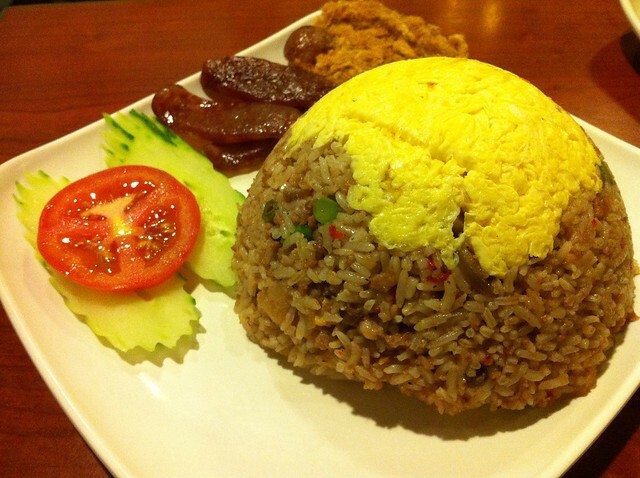 My fried rice with thai shrimp paste ($38), which came with pork floss and scrambled eggs, was of such a healthy portion that it was all I could do without busting my pants. My friend’s Thai style stir fried flat noodles with prawns ($38, commonly known as phad thai) was of equal portion but he finished everything… except for the miniscule mountain of chili flakes. I guess size does matter when it comes to ability to get your money worth. Heh. Verdict? 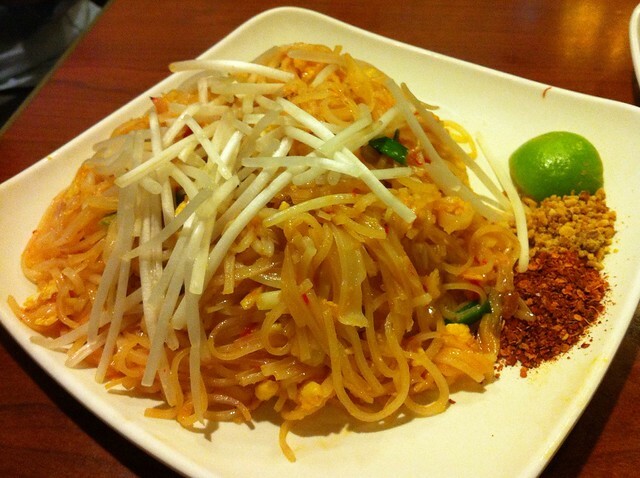 Really affordable Thai food right in Causeway Bay. Highly recommended for that quick lunch during the working week.